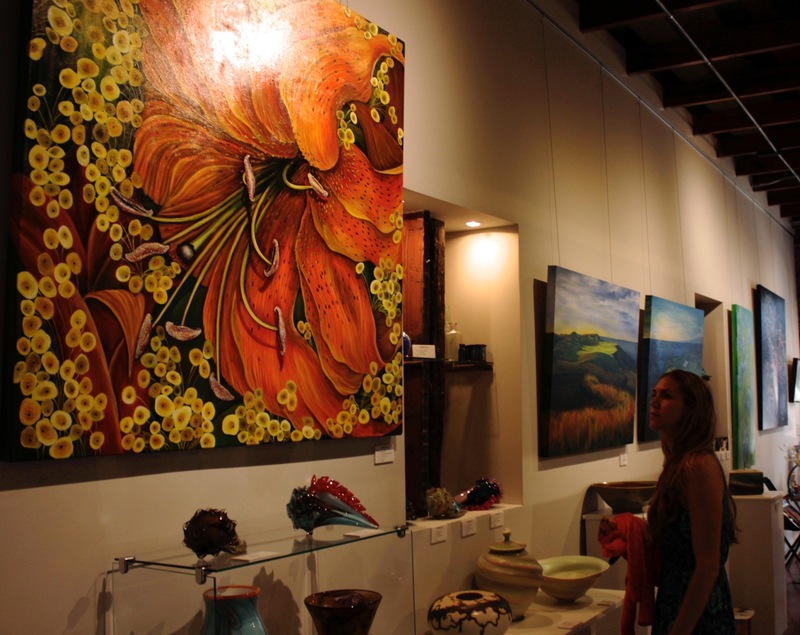 Debra Bucci is known for her vibrant and engaging floral paintings. Dynamic color palettes, moving compositions and translucency from layering oils all work together to enhance the depth and bring Debra’s art to life. She energizes the art with an intangible sensitivity to the human spirit, and each painting is a transformation. "An ideal painting should be more than just "Hallmark" pretty. It should have an energy that comes from tension hidden in the brush strokes, in the details. I want the viewer to sense a frailty. To connect with the fear but then feel the exhilaration of conquering it. I want the overwhelming of life to be acknowledged in the art but ultimately, I want to the viewer to feel empowered." "This thinking has led to a strong connection with willow trees. If we are supported by family and friends, aka the roots, then we can bend and flow with life's obstacles, like the willows." Debra’s style is rooted in realism and is woven with abstract elements. This approach allows the flexibility to magnify elements that establish movement and control focus... to play in the space between real and abstract. 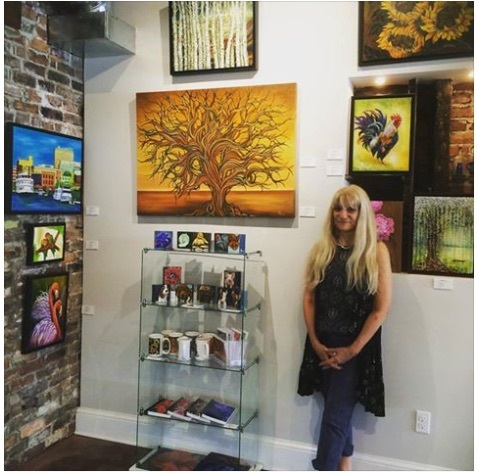 Debra has achieved success as a licensed fine artist and is an anchor artist at the Art in Bloom Gallery in Wilmington, NC. She is a published illustrator and has collectors throughout the US. 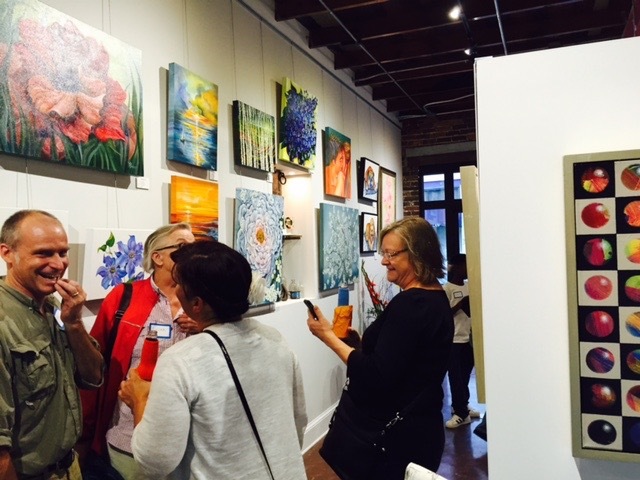 Her work has been displayed at the Wilmington International Airport, The Cameron Art Museum and numerous downtown Wilmington restaurants like Savorez and The District Kitchen & Cocktails. She studied painting at Drexel University under John Formicola and enjoyed a corporate career in Package Design. Debbie has recently moved to Wilmington, NC with her husband “Art” and dog “T-Bone”.